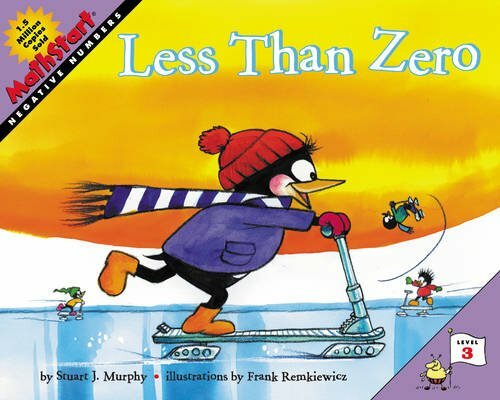 I know you might be getting tired of the snow by now (we’re on our 2nd snow day in a row after a long weekend and they are calling for snow for the next 5 days…), but who can resist adding a fun snow theme to math time? Not me! 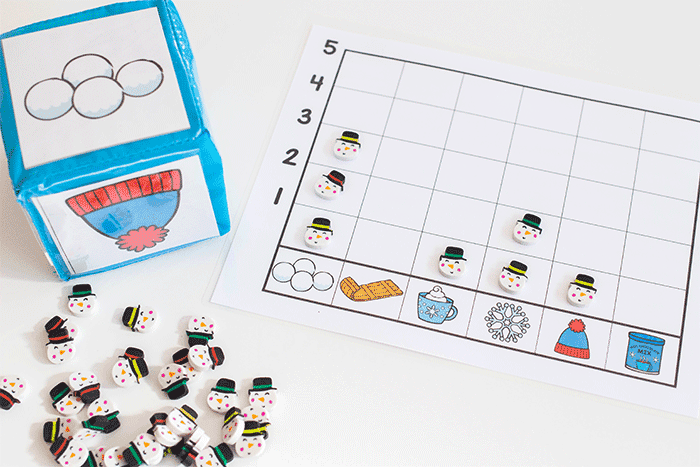 I created this free printable winter graphing activity pack for you to jazz up your winter math activities. Choose from one of the three fun graphing activities in the winter graphing pack or do them all! 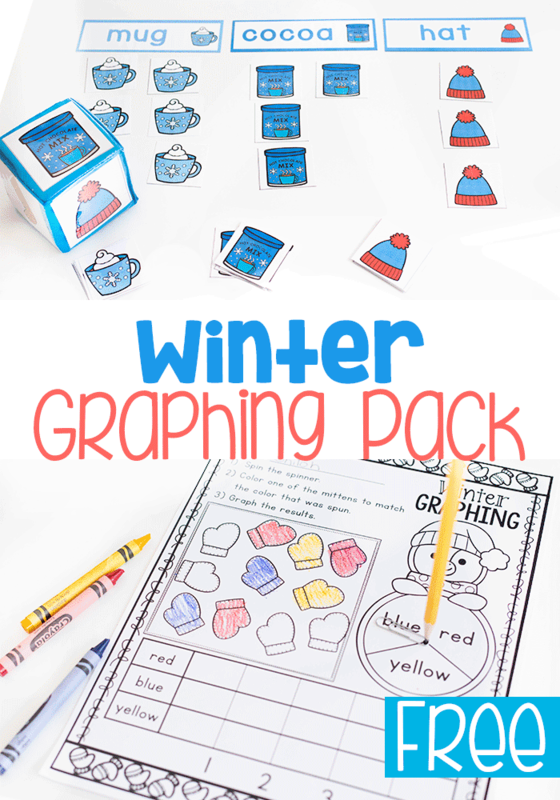 There are 3 different activities in this winter graphing set. 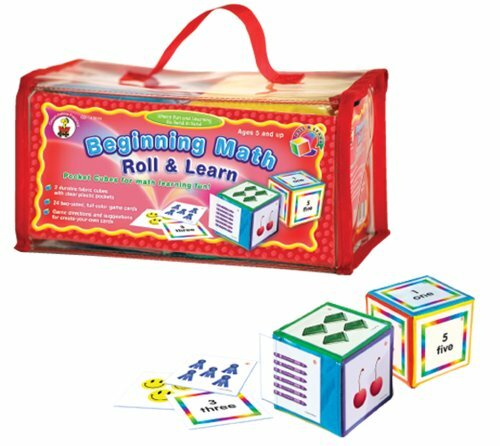 Kids love graphing when it involves rolling a cube. 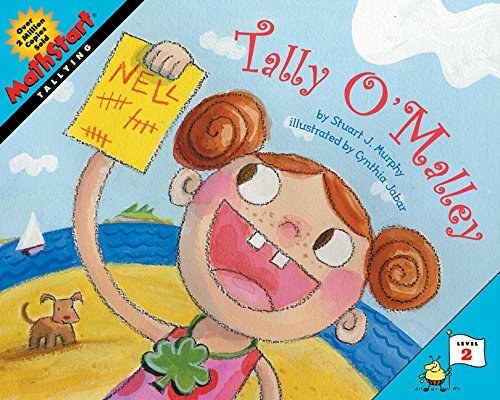 Math becomes so much more interesting when you turn it into a game! 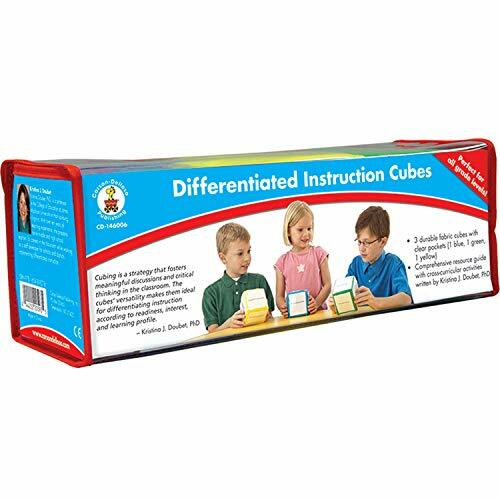 To prep the math center graphing activities, simply print, laminate and cut apart the cube inserts. 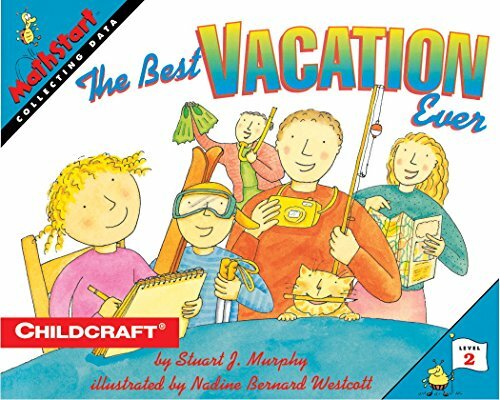 You could also slip the graphing paper into a write & wipe page protector to save time. Then, have the kids roll the cube and graph the results. Finish rolling when one column reaches the top of the graph. 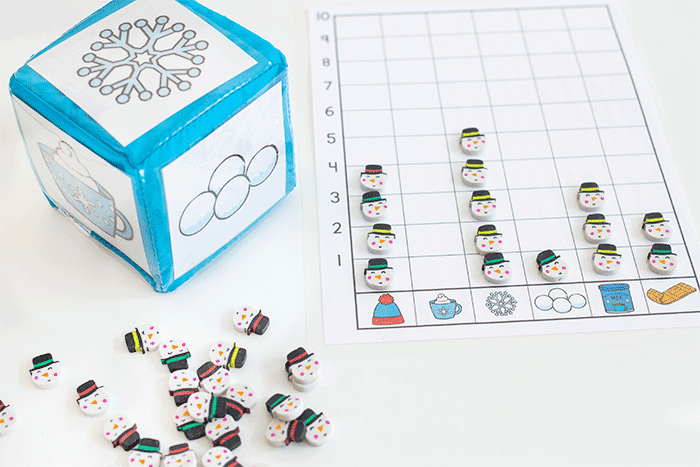 You can use a dry erase crayon to fill the graph or grab your favorite winter mini erasers. 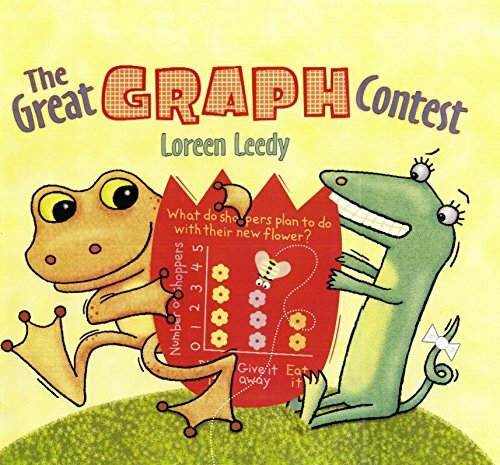 This low-prep graphing activity is great when you are short on prep time. 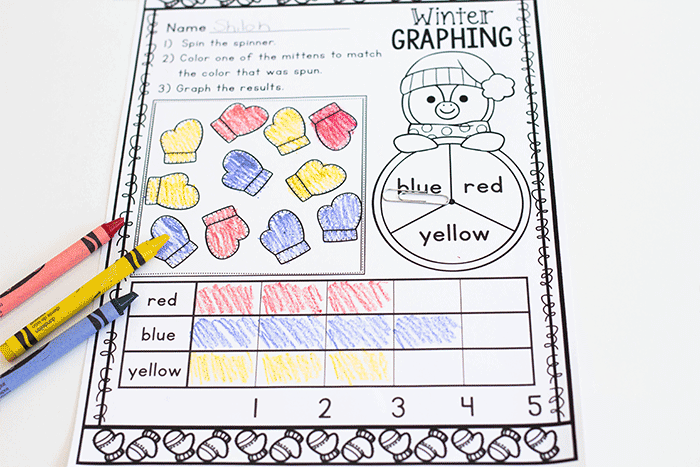 Just print & go with this fun color graphing activity for winter. Create a quick spinner with the use of a pencil and paper clip. Just hold the pencil down on the middle of the spinner on the paper, through the paper clip, and spin the paper clip. The pencil will hold the paper clip down and it becomes a super simple and brilliant spinner. Whichever color the spinner lands on is what the students will color the first mitten. 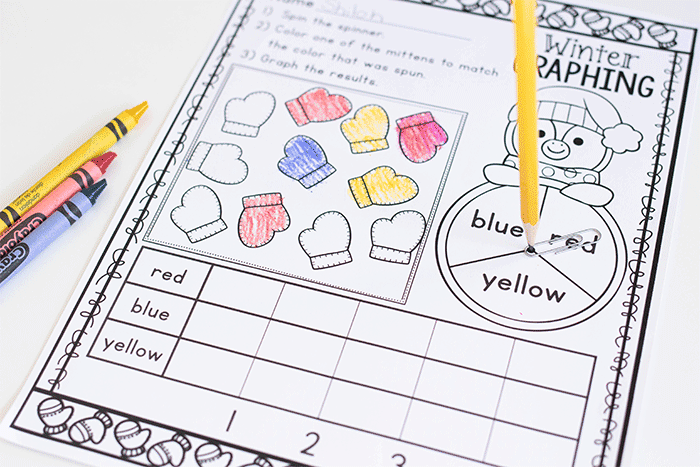 Spin again to find the color for the next mitten, repeat until all of the mittens are colored. 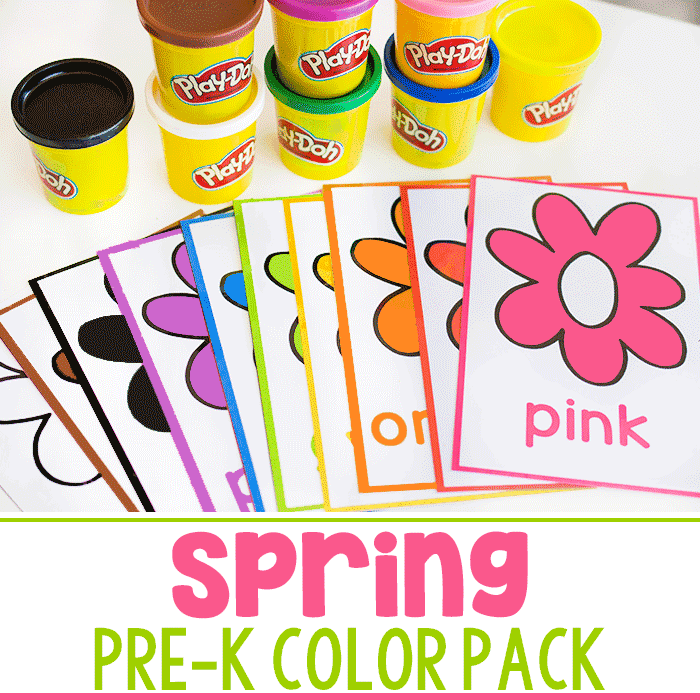 Next, have the students graph the colors. 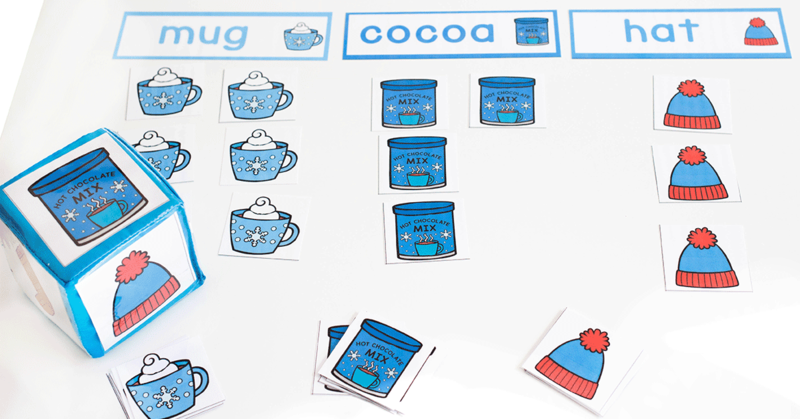 This set has everything you will need to engage your class or small group in a larger graphing experiment. 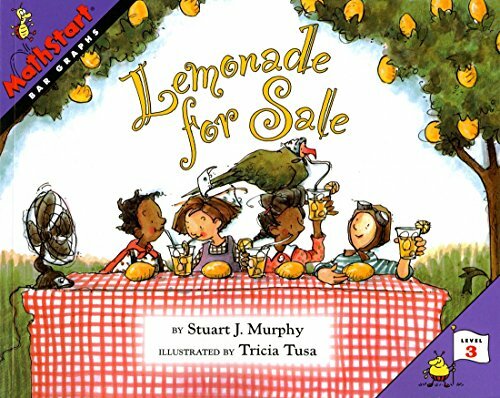 First, print out the dice, labels and graphing cards. 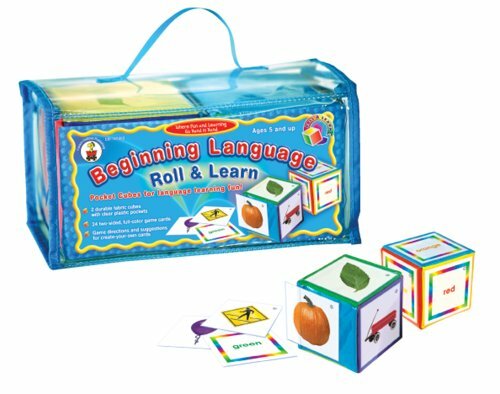 Place the labels in the top of your pocket chart and insert the images for the dice into your differentiated instruction cube. 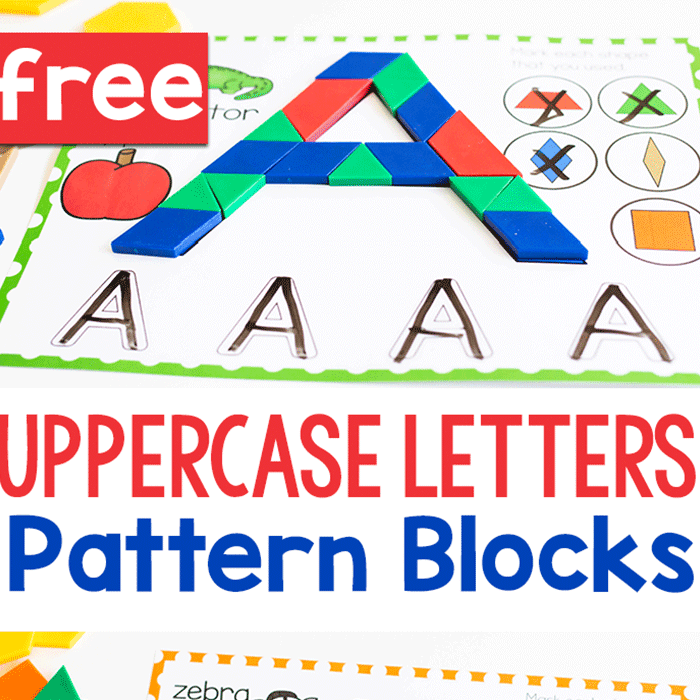 Have you seen these magnetic pocket charts? 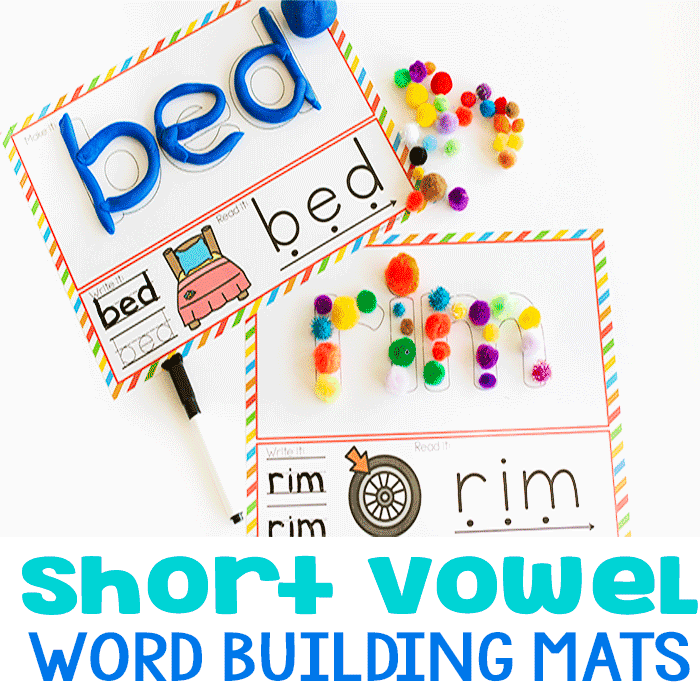 Perfect for attaching to a whiteboard for a quick activity without adding extra clutter to your room. Then, have each child take a turn rolling the cube and graphing the picture that they roll. Which picture was rolled the most? Which picture was rolled the least? 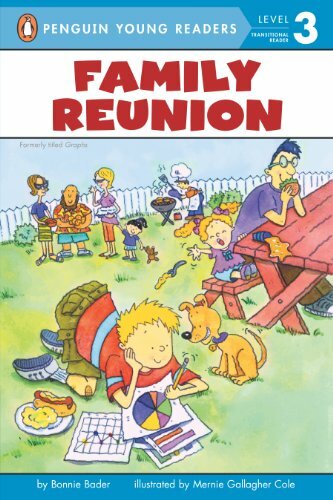 Were any two pictures rolled the same amount of time? If you try the activity again, will you get the same results?